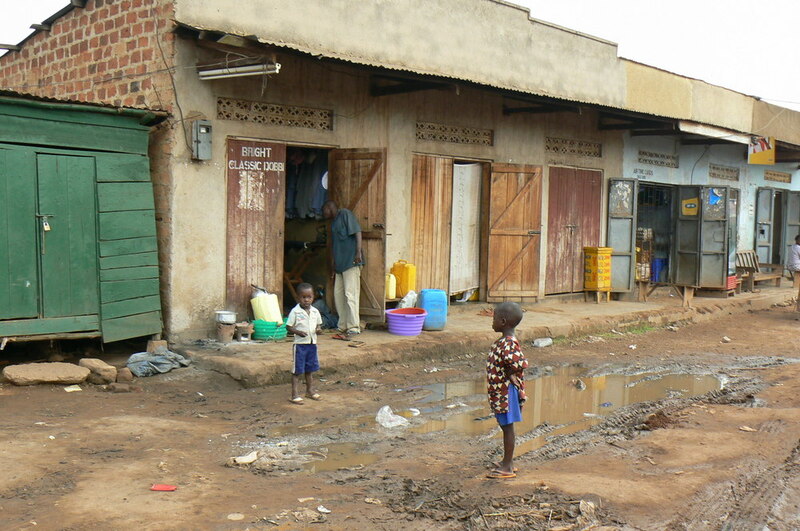 Clover Foundation came about to make real change in the lives of children in the community of Busega, Kampala, where hope was scarce and there is not enough food or clean water, and certainly not medical care or the opportunity for an education. As the World Health Organization acknowledges and New York Times journalist Nicholas Kristof writes, eradicating extreme poverty is not only the human thing to do, it is possible to achieve during our lifetimes if we, who can, do our part. Your sponsorship will support a child for a year with education, nourishing food, medical care and the love and attention deserving of every child. You may select a specific child to sponsor. Clover will help you develop a relationship with this child through letters, photographs and regular updates. We know that you will be inspired by the impact of your gift. A gift of $500 creates a sponsorship for one of the 40 children at the Clover pre-school. A gift of $800 creates a sponsorship for one of the 8 Clover children who are now at the Eaglets Academy primary school. We anticipate 15 additional Clover graduates to enroll at the Academy in January 2016! If you would like to become a sponsor, please email sponsor@clover-foundation.org . Rahim is a quiet three year old boy who lives with both his parents. His mother is a stay-at-home-mum, and his father does various jobs, currently working as a porter at a building site. Rahim is in the Middle Class at Clover, taught by Teacher Milly. She says “Rahim used to cry often when his mother dropped him off, but now he has settled in very well!” Rahim has opened up a lot since coming to Clover and has learned a handful of words in English. Clover has really enabled Rahim to build his self-esteem, and he now enjoys coming to school and kicking the football (soccer ball) with his friend Kenneth. His favorite moment at Clover, however, has to be morning song and movement—you can see the smile light up his face. Rahim’s favorite food is groundnut paste with silver fish (tiny dried fish with peanut sauce served over rice. He enjoys it so much you can see him picking out the fish one by one so savor them! Rahim's birthday is November 28, 2011. Michael is 5 years and 3 month old. He is in top class at the centre. His best friend is Rogers. His favorite subject in class is mathematics. He enjoys matooke cooked with steamed beans locally referred to as katogo and yams his best color is black. He hopes to become a driver. He is working hard to join primary one at Nateete junior school to be with his big brother Stephane Kabugo. Clover centre has improved on his self esteem and general appearance, he looks healthier. His mother now has hope for the future with her two sons receiving education. She hopes they will be the change in their families and communities. Judith is three-and-a-half-year old girl with a deep voice. She lives with her mother who supports the family any way she can, including cleaning clothes, digging trenches and cleaning people’s homes. During school holidays, Judith comes with her mother to these jobs. Judith’s mother has had financial trouble since her brother was in an accident and became unable to help support them. Now, her mother is struggling just to feed and cloth Judith. Judith is often insatiably hungry and thirsty, telling her mother she didn’t eat at school, even when she just finished lunch. Despite these struggles, Judith is continuing to grow and learn at Clover. While, last year, she preferred to play with her friends, this year Judith is curious and attentive to her teacher, participating in every aspect of class. She loves to play with dolls and pretend to feed them. She is especially adept at identifying pictures in English, and is starting to get very interested in reading! Judith is friendly and helpful to her classmates, and she likes to be told everything will be alright. Clover has helped Judith learn how to share and interact with her peers. Her birthday is October 17, 2010. Kenneth is 3-years-old and lives with both his parents. He is supported by his mother, who works at a hair salon, but his father is an alcoholic and does not work. Kenneth’s favorite thing to do at Clover is play with the ball—and his favorite word in English is “football!” He also likes to jump on the trampoline and takes any chance he gets for a hug from the teachers; he is always asking to be picked up. His favorite friend to kick the football (soccer ball) with is Rahim Seriunge. Kenneth is quiet, but curious and eager to learn! Last year at Clover he learned to identify many objects, numbers, colors and shapes. Without Clover, Kenneth would spend his days at home, with only his 5-year-old brother to watch him all day. His birthday is November 14th, 2010. Jaria is a three and a half year old girl who lives in the immediate neighborhood of the Clover center. Jaria lives with both of her parents and her younger sister. Her mother was very young when she had Jaria and works to support them by selling tomatoes out of a stall. If Jaria did not come to Clover, she would be with her baby sister and mother at the tomato stall. Jaria loves coming to Clover! She is very motivated to learn and grow. She loves to play with learning cards—holding up cards with pictures and telling her friends the words in English. Her best friend is Jamillah.Together they like to play on the merry-go-round. Jaria’s birthday is June 15th, 2010. Stephan is five years old and now in Top Class. Stephan broke his right arm last year, and suffered a bit of a set back in his writing skills. However, he is jolly and smiles now, even without his two milk teeth. He has since recovered from his injuries and is active like any other five year old. Stephan loves to learn and is smart as a whip! He understands a lot of English and is often heard interpreting for his classmates with American volunteers. During “tablet time” Stephan spends a lot of time showing and explaining games to his peers and when a student is having trouble, they go to Stephan. But, when he gets the chance, Stephan prefers to bring his tablet to a quiet corner and concentrate on his own. His mother lost her hearing at the age of twelve due to severe malaria. Thus Stephan can only communicate to his mother through his older brother who can sign. Their father abandoned the family when Stephan was two years old. He likes football so much and enjoys singing. Since coming to Clover, Stephan has opened up and his self-esteem has improved exponentially! Martha smiles here because Martha has lived with Clover program director Esther Makumbi for the past year. Esther took her in when she heard of her plight. From the moment Martha was born, she was denied: her mother believed that she was having a boy, but when Martha was born, she was not only the fifth child, she was the fifth girl. When she took Martha home, she did not breast feed her, as is the custom, and refused to acknowledge Martha as her daughter, even to her other children. Martha faced verbal abuse from her playmates and even her siblings. Martha's grandmother, a peasant farmer with no income and several grandchildren to look after, finally took her in. As Martha grew, she was frequently sick, would not speak, and appeared insecure and lonely. Each day brings Martha closer to who she really is. Martha is doing very well in class and really enjoys playing with her Clover friends. She loves to be read to, and will hand you books indefinitely; in fact far longer than she can actually sit still! She loves to designate every character as either a momma or a baby. Martha loves to move her body, enjoying morning song and movement. She is an incredibly friendly child, getting along with everybody at Clover. We are uncertain of Martha's birthday but know she was born in 2009. Nulu is four years old and is the first born in a family of two. She is a leader in her class and a responsible girl who shows maturity at that tender age. Nulu is a fierce girl who does not let any peers push her around—teachers often observe her disciplining other misbehaving students with a shaking finger and a hard stare (it is hard for the teachers to keep a straight face while watching these interactions). Nulu rarely smiles; she tends to carry a very serious expression, but when you catch her in a moment of joy, the smile is wide and bright. Nulu lives with her mother in a very tiny one-room apartment and as a result of that she got very badly burnt with hot water last fall. She has since recovered thanks to Clover who ensures that the students receive adequate medical attention. Nulu enjoys her friends at Clover. Her birthday is July 2, 2010. Steven graduated Clover in January 2014 and is in his first year of primary school with his Clover friend Rahif (see above). He enjoys school and tell's Clover staff, when he returns in the late afternoon, that math is his favorite subject. When he and Rahif are back at Clover after school, they love going high on the swings. He is a great older brother and is very generous and likes to share. Steven is also very responsible and comes daily after school to Clover to pick up his younger brother Michael. Steven's father recently was is a serious motorist accident and remains hospitalized. His family is struggling financially with out the resource of the father's income. His mom recently had a baby, so at 6 years old, Steven needs to take on a lot of the family tasks. Steven's birthday is August 22, 2007. Sharifa is five and a half year old girl who lives in the very swampy area of Busega, neighbors with another Clover student, Rodney. She lives with her parents and two younger sisters, Shadia, also a student at Clover, and the youngest at one and half years old. All five of them live in a very small one-room apartment with very poor drainage. Sharifa’s father supports the family by making bricks, but cannot always find work all year round. Her mother is looking for work. During the holidays, Sharifa is often put in charge of her siblings during the day while her parents are working; in charge of supervising and cooking for her sisters. For Clover director Esther witnessing this on a visit she feels this emphasizes what Clover is about, and why we are doing this important work. Sharifa is incredibly mature, and has struggled to take on the role of a child here at Clover. When she first came to Clover, teachers often observed Sharifa taking care of her peers instead of playing with them—she is the first to comfort a child when they are upset or hurt. The teachers often had to encourage her to play and have fun. But now, Sharifa will voluntarily go outside play with her friends, without worry that she is doing something wrong. She is doing well in school and is very proud of her accomplishments! Sharifa’s mother is also incredibly proud of her and very grateful to Clover. She has told the teachers many times over how she wants a better life for her children, so they won’t have to struggle to feed themselves and their children. Sharifa’s birthday is August 28th 2008. Faisal is a four year old who lives with both his parents. He helps his classmates put on their shoes whenever they are leaving class. He responds quickly to anyone crying in his group and we think this very caring of him. He has become a leader in his classroom. Faisal also has a sense of humor and loves to provoke trouble for a laugh! During "tablet time" he likes to hide other children's tablets. Once his peer finds the tablet, it usually results in giggles from both kids. His favorite moment is playing on the trampoline after lunch. Academically, Faisal has soared! This year alone he has leaned his letters and how to count and even will lead his peers in learning too! Faisal's brithday is December 38, 2009. Irene, a sweet, smart girl who just turned three this past fall. She is one of the youngest here at The Center. She is neighbors with fellow Clover student Rodney and loves playing with him, as well as Mark. Irene’s mother often spends her days washing clothes at the well near Clover, and brings Irene’s younger sibling with her when she brings an picks up Irene. If she was not at Clover, Irene too would spend her days at the well with her mother. Instead, in teacher Faith’s baby play class, Irene loves to “shade” in coloring books and listens intently at story time. Her favorite food is rice and watermelon for desert—often eating it with so much passion she has to change her shirt it gets so soaked with juice. Irene is doing so very well here at Clover, and we all look forward to watching her continue to grow and succeed! Irene's birthday is September 20, 2009. Rozette is a shy girl who just turned five last year! Even after a year at Clover, the teachers are still working to encourage Rozette to open up. Rozette lives with both her parents, but spends most of her time with her grandmother who sells matoke (starchy root vegetable) in the immediate neighborhood of the Clover Center. Both of Rozette’s parents leave for work very early in the morning, and drop Rosette off with her grandmother. It is hard for her elderly grandmother to bring her to Clover, so she is often late or absent, and has consequently fallen a bit behind in school. Rozette’s family has been striving to get her to Clover everyday this term, and she has already started to improve. When here, Rozette loves to play with dolls and is especially excited when samosas are served for lunch. She is also an extremely generous child, always seen sharing her toys or even her food. Even though she does not talk much, she loves to play with her friends here at Clover, especially fellow student Shadia. Rosette’s birthday is February 11th, 2009.